Caring is at the heart of everything we do and each day we are grateful for the way our clinical team delivers care and hope to our patients in the most unimaginable circumstances. 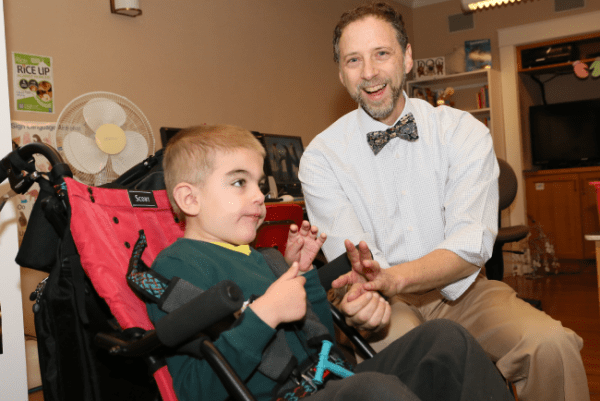 Canuck Place Medical Director, Dr. Hal Siden who, as a leading specialist in pediatric palliative care, has played a vital role in caring for our children and families for the past 16 years. Whether he is seen around Canuck Place with his faithful four-legged sidekick, Poppy, helping children and families who need their support, or mentoring the next generation of pediatric palliative care providers, Dr. Hal’s passion for providing care can be seen through his knowledge of pediatric palliative medicine. Early in his career, he realized he wanted to help the children he was caring for in a different way. This past November, Dr. Hal was presented with the Dr. Parminder Singh Award of Distinction by the BC Pediatric Society for his leading work in the field of pediatrics. While some days are harder then most, Dr. Hal’s care extends far beyond treatment and he appreciates the time spent with the children. Dr. Hal, we are so lucky to have you as part of our team and are grateful for the care you provide each and every day.